Coming up at Comics Forum 2014 on Thursday-Friday next week, we have a fantastic lineup of speakers! 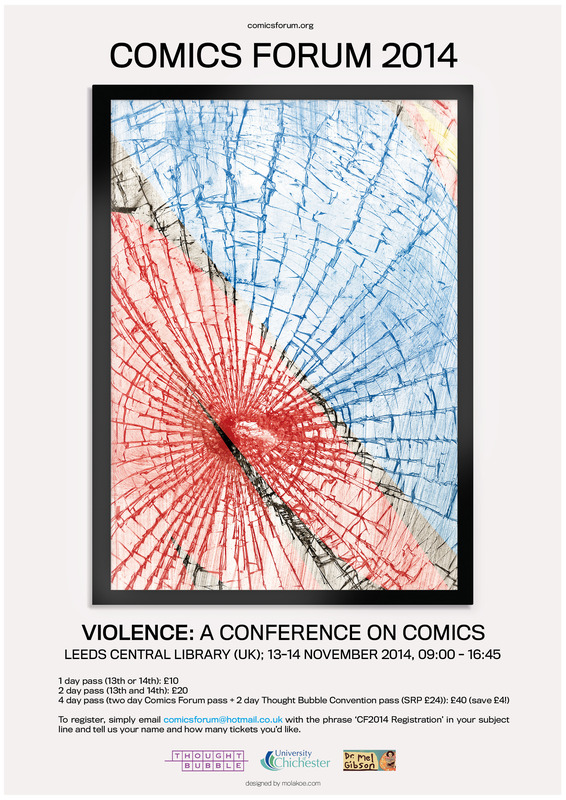 Our keynote speech will be delivered on Thursday afternoon by Professor Jane Chapman, and we look forward to welcoming a host of other top speakers to Leeds Central Library for two days of fascinating talks on violence. See below for the full list of speakers. To register, simply email comicsforum@hotmail.co.uk with your name and how many tickets you’d like. Comics Forum 2014 is supported by: Thought Bubble, the University of Chichester, Dr Mel Gibson and Molakoe.